After six rounds, it seems pretty plausible that the teams currently in the top eight will go on to play finals. If it does turn out that the current top teams end up being the ones to play finals, it will be a relatively uncommon situation. 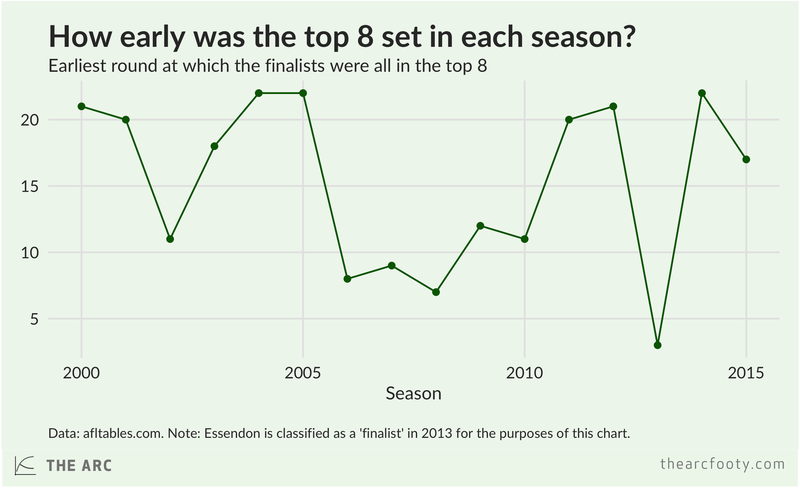 The finalists don’t usually all appear together in the top eight until later on in the season. 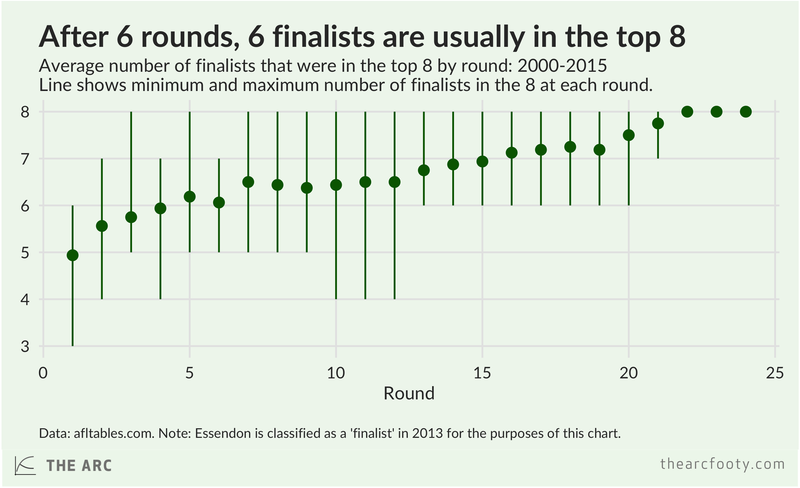 It’s relatively uncommon for the finalists to all be in the top eight after six rounds, but it’s not unheard of. 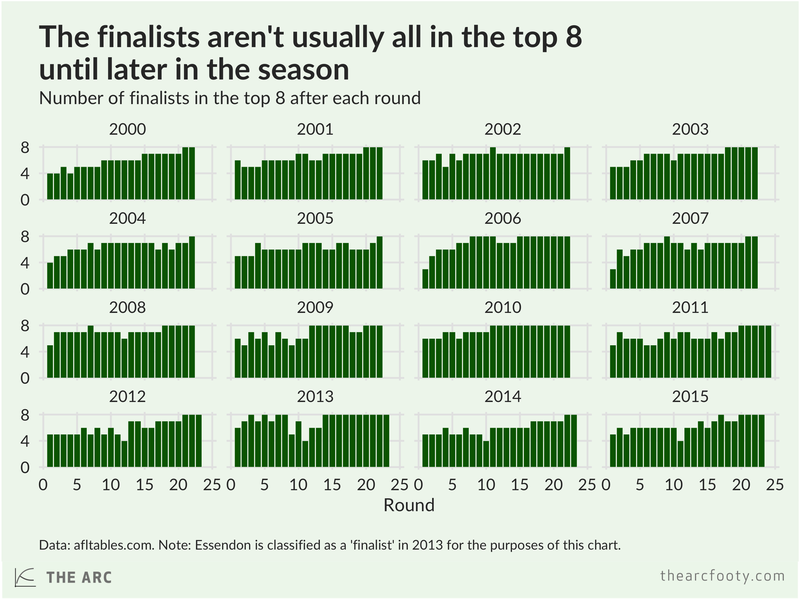 In 2013, the teams that finished in the top eight were all in the top eight in round three – though I’m including Essendon in this group, so there’s a caveat here (officially they finished ninth after being disqualified). In 2008, the finalists were all together in the top eight after seven rounds. At this point of the season, with six games played, it’s typical for around six of the teams that go on to play finals to be in the top eight. Note: This post was inspired by a table made by Ryan Buckland and by a series of charts on the FT’s Baseline blog. Previous article	← Are crowds at record highs for this stage of the season?